Tune in as Jessica tells you the latest from the Nikonians Community, including where to find information about Photokina happenings, and what's new in the Forums! It's all about Photokina! Find out more about what Nikonians have to say about Day 1 Announcements, and check out the Nikonains blog for all the latest information! Want to learn more about taking panoramic photograps, and creating panoramas from digital pictures? Listen in to the latest episode from The Image Doctors! Nikonian hotshots is looking for information on part-time work in the So Cal area! Find him here ! Tonight's Sunset is always worth a look! Nikonians racepics is looking for information on Sydney, Australia. Please give him any help you can on his thread. Need to know what books would be best for your photographic needs? Check out our bookshelves! Half-way through the Photokina 2006 show in Cologne, Germany our hearty Nikonians Team has been busy greeting visitors to their booth and rewarding a lucky winner daily. The Nikonians Booth (Hall 2.1 A015) has been the focal point for demonstrations of Nikon equipment, Gary Fong's LightSphere, Markins, Kirk and Katz-Eye, and model and portraiture shooting tips from our very own Pascal Baetens. Kristina Nessl and Nikonians co-founder J. Ramón Palacios draw the first winner of a brand new Q3 Emille Ball Head on the first day of the Photokina. A new winner was chosen on each day. The lucky winner of the Q3 Emille Ball Head on day one was Nikonian George Ridener. Magdalena cheerfully helps distribute information at the Nikonians Booth. Nikonian Arnold Crane, whose long list of credentials includes Honorary Chairman of the White House News Photographers Association, grabs a quick phone call while visiting with JRP. Arnold was recently featured in a Behind The Lens podcast interview with Jason Odell. A friendly Nikonian from Germany (on the left) meets JRP and LetsGoDigital editor Dennis Hissink. Keep up to date on Photokina show news with our colleagues LetsGoDigital and Imaging-Resource. 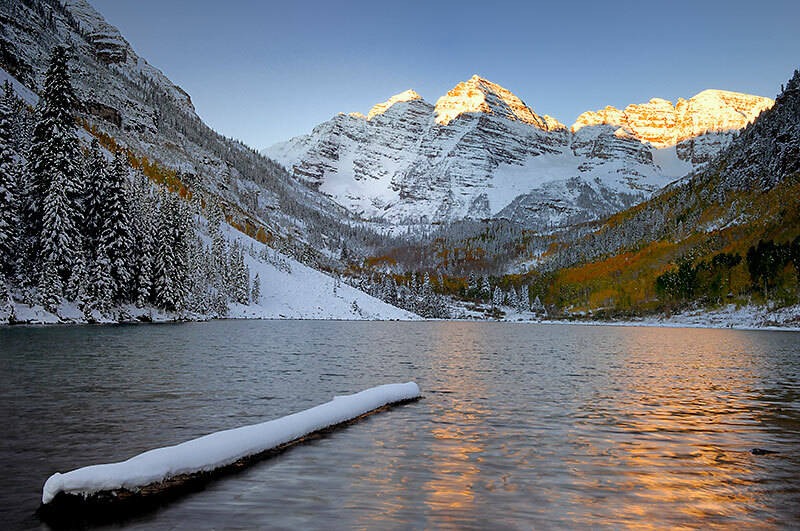 The Image Doctors are on location in Aspen, Colorado. Jason and Rick spend a chilly morning in the Rocky Mountains photographing a major Colorado landmark, the Maroon Bells. Afterwards, listen as the Image Doctors give their tips on shooting panoramas. Nikonians attending the 2006 Photokina in Cologne, Germany have already been swamped with late-breaking product unveilings and sharing the news with our friends. LetsGoDigital editor Dennis Hissink took a few minutes to say hi to Nikonians co-founder Bo Stahlbrandt (of course he's the one sporting the latest in Nikonians fashions). Be sure to visit us at Hall 2.1 A015 - we'll be having plenty of demonstrations of Nikon equipment, Gary Fong's LightSphere, Markins, Kirk and Katz-Eye, as well as model and portraiture shooting with our very own Pascal Baetens and more! And of course, you can keep up to date on Photokina show news with our colleagues LetsGoDigital and Imaging-Resource. We hope to see you there! Adobe has posted the latest updates to their workflow program and given it what appears to be the official moniker - Photoshop Lightroom. The download requires registration and there's a fair amount of release note information. On the Autumnal Equinox Jessica announces the final winner of the T-Shirt giveaway, as well as information on seminars by the American Society of Media Photographers, new products by SEA&SEA and Lensbabies, and more! The American Society of Media Photographers announces upcoming seminars with 18 photographers at various Apple Stores! The first set of seminars starts Monday, September 25. SEA&SEA has annouced an underwater housing for the D80. Check out the press release here. Lensbabies has announced a Wide Angle/Macro Conversion lens as well as a Wide Angle/Telephoto Lens kit. LetsGoDigital has a review of both. We will be in Hall 2.1, Booth A015. We have daily raffles of Markins ball heads, Gary Fong Lightspheres and NikSecure insurances. The winners of Segment #4 of the Photographers of the Year contest have been announced. Check them out here! Finally, the 31st edition of The Nikonian is avaliable for download. Highlights include a how-to on D200 white balance and how depth of field works. The Nikonians publishing team has prepared our largest eZine to date, and has followed the suggestions of our readers who have asked for a horizontal format. NIKONIAN eZine 31 is now avalable for download. Lensbabies announced today the launch of two new Lensbaby branded accessory lenses. The two additions are a Lensbaby Wide Angle/Macro Conversion Lens and a Lensbaby Wide Angle/Telephoto Lens kit. Most notable about the new wide angle accessory lens is that it is optimized for use with the Lensbaby - no other wide angle accessory on the market preserves the size of the sweet spot of focus the way the Lensbaby wide angle lens does. When a photographer uses an industry standard wide angle conversion lens with a Lensbaby it shrinks the size of the Sweet Spot. The shrinking Sweet Spot makes it harder to shoot wide open at f/2.0 or f/2.8, because the Sweet Spot reduces to quite a small percentage of the photo. Our new Lensbaby wide angle conversion lenses solve the problem of the shrinking Sweet Spot. The Lensbaby 0.6X Wide Angle/Macro Conversion Lens includes a 0.6X attachment that converts the 50mm focal length of the Lensbaby lens to a wider angle 30mm, while keeping the Sweet Spot the same size as a Lensbaby photo taken without a wide angle conversion lens. This lens also has the bonus feature of allowing photographers to unscrew the rear lens element for use as a macro lens that focuses as close as 2" to 3" from their subjects. The rear element of the Lensbaby 0.6X. The Wide Angle/Macro Conversion Lens is comparable to using a Lensbaby with the +4 and the +10 lenses from the Lensbaby Macro Kit stacked together. The 0.6X wide angle conversion lens weighs 2.1 ounces and measures 1.25" x 1.8" Ã¢â‚¬â€œ with macro attached. The macro element weighs .6 ounces and measures 1.5" x .75". Both are 37mm threaded for ease of use. The new Lensbaby Wide Angle/Telephoto Accessory Lens kit includes the Lensbaby 0.6X Wide Angle Conversion Lens and the Lensbaby 1.6X Telephoto Conversion Lens. The Lensbaby 0.6X Wide Angle Conversion Lens changes the effective focal length to 30mm while keeping the Sweet Spot the same size as a Lensbaby photo taken without a wide angle conversion lens. The Lensbaby 1.6X Conversion Lens converts the Lensbaby to 80mm and slightly increases the size of the sweet spot of focus. Both conversion lenses simply screw onto the 37mm threads on the front of the user's Lensbaby lens. The Lensbaby 0.6X Wide Angle Conversion Lens weighs 2.1 ounces and measures 1.25" x 1.8". The Lensbaby 1.6X Telephoto Conversion Lens weighs 1.9 ounces and measures 1.2" x 1.8". Lensbabies will be exhibiting in Hall 05.2, booth D028, at the 2006 Photokina in Cologne, Germany. Our Nikonians Team will be nearby, in Hall 2.1, booth A 015. Zeiss has released four more ZF mount prime lenses compatible with the Nikon F mount: a 25mm/f2.8 that close focuses to an amazing 2.4"/6cm, a 35mm/f2.0, a 50mm/f2.0 normal optic and a very fast 100mm/f2.0 macro featuring a 1:2 magnification ratio. The latter is also the very first ARRI/ZEISS Master Prime brand optic - a set of lenses well-known for gracing some of the finest movie-making cameras in Hollywood. The underwater imaging folks at SEA&SEA have announced they will soon offer an underwater housing for the new Nikon D80. The housing, called the DX-D80, should be available later this year. "Our new DX-D80 compact housing is aimed squarely at professionals, but is easy enough to use for photographers at any level. It's packed with sophisticated features that include a leak sensor, a shutter lever that detects halfway presses, and an ergonomic grip for a comfortable hold. It accepts an interchangeable pickup viewfinder (optional) for vision correction, and its carefully designed controls make it easy for anyone to use the camera intuitively underwater." Our thanks to SEA&SEA USA's John Davy for permission to reproduce the product shot. By the Way-- John tells us that Nikonians Corporate sponsor Berger Brothers carries the SEA&SEA line. The price has yet to be officially announced but we're taking an educated guess that it should be within the same ballpark (perhaps even lower) than the Sea&Sea DX-70 Housing for NIKON D-70. Missing from the latest round of DSLR/major camera announcements are Olympus (not counting the E-400) and Fujifilm. True to the rumor mill, Olympus claims they will be showing a prototype of the E-1 successor at Photokina. The Fujifilm S5 (apparently the S4 title is a victim of superstition) has been rumored as well, with a potential pairing of a Nikon D200 body with the latest chipset that improves on the S3's performance. The American Society of Media Photographers (ASMP) will host 18 well-known photographers' seminars at a variety of Apple Stores across the nation. An upcoming session in NYC's location will feature Jay Maisel. At each session, the presenter will show slides and talk about portfolio marketing, assessing the needs of photo editors, and ways of succeeding in this challenging field. Admission is free and open to the public; space is on a first-come first-served basis. Nikonians seeking RAW support for their D2Xs and D80 bodies have a downloadable answer. Phase One©, producer of the RAW workflow software leader used by thousands of photographic professionals and enthusiasts worldwide has just released version 3.7.5 version of their Capture One© RAW workflow software. Here's the condensed version of their press release. Capture One RAW workflow is once again one of the very first RAW workflow software products to offer RAW files support for new DSLR cameras such as Nikon's new flagship, the D2Xs and Nikon D80 and Canon EOS 400D. The 400D is not supported tethered in Capture One. RAW files from Leica's brand new digital rangefinder camera, the M8, Epson's R-D1s as well as Sony's first DSLR camera: the Alpha DSLR-A100 are also supported in Capture One 3.7.5. Trine Voss, VP Sales & Marketing for the Capture One product line says: "Time to market is essential in a fast moving business. Therefore, it is our objective to always be first with camera and RAW file support for new professional DSLR and rangefinder cameras as we know that this is appreciated by our customers, and we are of course committed to meet these demands. The same goes for new operating systems etc." Capture One 3.7.5 PRO/DB version also includes a variety of enhancements that benefit Phase One's digital back users. The capture rate performance when shooting in RAW IIQ-L mode on Mac has improved. This performance enhancement allows professional photographers to maintain a high capture rate, which can be very useful at fashion shots. Phase One constantly improves the existing color profiles in Capture One. In Capture One 3.7.5 a range of new Easy Gray profiles has been included. These profiles are available for Phase One digital backs and are particularly useful for product shots as they create a consistency in neutral tones. "Phase One is committed to providing the best and most reliable RAW color management workflow for our customers. Therefore, we constantly adjust and improve Capture One's color profiles in order to provide our customers with profiles tailored for their work requirements," Trine Voss continues, "It is essential that colors are accurate and pleasing to look at. Therefore, the color profile enhancements are based on a combination of customer feedback and own color expertise." Capture One 3.7.5 is free of charge for existing Capture One users and can be downloaded at www.phaseone.com/download. Capture One is available through Phase One's world wide network of resellers www.phaseone.com/reseller and through the Phase One on-line store at www.phaseone.com. At the moment, the SanDisk Corporation, the world's largest supplier of flash storage card products, includes a full version of Capture One LE for FREE as part of a SanDisk CompactFlash Extreme III card purchase. Read more at www.phaseone.com/sandisk or contact your SanDisk reseller to learn more about this opportunity. RAW Workflow Capture One RAW Workflow software is used daily by thousands of photographic professionals and enthusiasts worldwide. It is recognized as the most efficient, fully color-managed RAW Workflow image-processing solution for delivering the highest possible image quality from the new generation of digital SLR cameras and Phase One digital camera backs. Capture One PRO is a cross-platform application and includes two computer activations and two free updates. Capture One LE includes two computer activations and one free update. Capture One LE is available as a Mac or Windows version. Phase One is the world leader in digital imaging solutions for professional photographers. 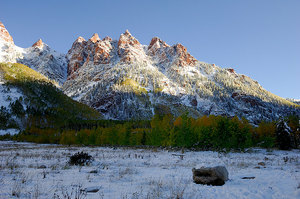 Its primary products are high-end digital camera backs and the Capture One RAW workflow software. Phase One is based in Copenhagen, Denmark. For more details visit the Phase One website at www.phaseone.com. Phase One is a registered trademark of Phase One A/S. All other brand or product names are trademarks or registered trademarks of their respective holders. Our Nikonians Team will be joining the Phase One Team at Photokina in Cologne, Germany -- September 26th through October 1st 2006. Visit the Nikonians booth in Hall 2.1, booth A 015. Nikon Backing Photo Rights Grab? An article in the Editorial Photographers (UK and Ireland) website takes Nikon UK to task for endorsing travel firm Opodo's Reflections Photography Contest, citing excessive rights-grabbing terms. The terms and conditions for Opodo's Reflections competition demands that all entrants grant them a licence to use the photographs forever for no fee. The terms also ask that photographers give up their moral rights in the photographs, and that they assign their rights in any other 'derivative' works, such as montages. Rather helpfully, Opodo reassures entrants that they "can submit as many photos as they like", with each photograph entered being available for Opodo to use forever. Join Jessica as she announces the winner of the third Nikonians t-shirt, and how to win the final shirt. Listen in for news about the Nikon World Customer information leak, new blog space on Nikonians and an up and coming pot-luck in Massachusetts! Information about the leak in customer information from Nikon World can be found in this article from Associated Press. Customers who are at risk were sent a notification letter, so if you recieved on, please check to make sure your credit was not accessed without your permission! Personal Blog space in the Nikonians Community! Are you interested in this feature? Please let us know what you think in this poll. The concept is to offer members 100MB of blog space with a gallery function. Adobe is at it again! Adobe Photoshop Elements 5.0 is announced! The upgrade will be avalible in October 2006, and has some handy features such as Color Curves capability. Mike B, Nikonian benveniste, is holding a potluck for Nikonians on the 14th of October in Northeastern Massachusetts! RSVP if you can make it, or if you need more information. Need help with some photography software? Check out the Software section of the Community's resource pages. Get some helpful information on things such as how to use some Adobe filters, and Adobe Digital Workflow. Thanks to DJ Ron in Germany for my theme music! Nikon has become the latest victim in the rash of customer exposure incidents plaguing the online world. Members in our forums first reported the incident when they received a notification letter from the company indicating that as a Nikon World magazine subscriber, "personal information...has been made available to unauthorized persons." An Associated Press article states that a link in a status e-mail to potential subscribers of the magazine led to pages of customer information, including addresses, telephone numbers, credit card numbers and expiration dates of current subscribers. The site was subsequently shut down and Nikon would only indicate a "small number of subscribers were affected." No details were provided on how the breach occurred. Customers who received a notification letter from Nikon should take steps to ensure their credit has not been accessed inappropriately by contacting the three major credit reporting bureaus as soon as possible. 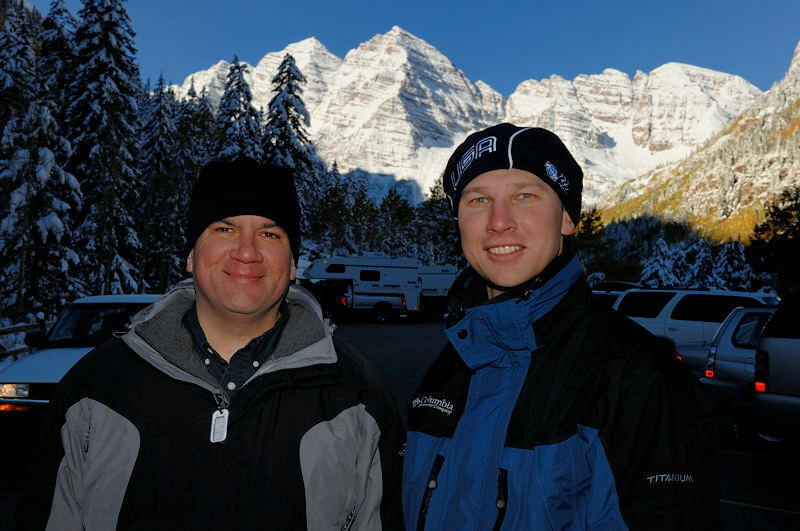 Jason and Rick take on the challenge of sharpening digital images. Learn what the USM tool does, how "unsharp mask" got its name, and more. Nikon continues their marketing campaign for the Style series of Coolpix digital cameras by integrating them into Daniel Franco's wardrobe display at New York's Fashion Week show. Franco, a recent contestant of the hit reality show "Project Runway," claims he was inspired by the features of the camera line when creating his latest apparel. Olympus is adding two more models to it's previous recall notice for the same overheating and burn danger due to a faulty circuit affecting the built-in flash. In March of this year, Olympus announced a voluntary recall of the following models: the Infinity Twin, AF-1 Twin, Infinity Zoom 200 series, AZ 200 series, and Quantary Infinity Zoom 222 Olympus-brand 35mm film cameras. Added to this list are the Infinity Zoom 76 and the Promaster Infinity Twin models. The model names can be found on the face of the camera and were sold through major department, electronic/camera stores as well as mail-order retailers between January 1989 and December 1995. Affected consumers should contact Olympus at (800) 480-1247 between 9 a.m. and 5 p.m. ET Monday through Friday, or go to www.olympusamerica.com for information on receiving a free repair or, if necessary, replacement. Adobe has announced the latest upgrade to their popular entry-level photo-editing program. Adobe PhotoShop Elements 5.0 brings even more editing and publishing capabilities to your still photos, such as a built-in photo service to put your memories online, enhanced RAW editing, a much awaited Color Curves capability, Black & White conversion, animation tools and much more. The upgrade is expected in October of 2006 for both Mac and Windows at an MSRP of USD89.99. At first blush, the concept of a photo-industry giant entering the highly competitive beauty care market seems a bit outlandish. But Fuji Photo is claiming that during research for improving film quality, they discovered chemical technologies that could also be used in health care. Company president Shigetaka Komori cited "precision chemistry and precision process control" from years of creating high-quality emulsions that make the transition more relevant in terms of competitive advantage. Fuji Photo appears serious about the cross-over, having bought a 22 percent stake in a Tokyo pharmaceutics startup earlier this year. As for the company's new products, Fuji Photo will start selling skin care items under the brand name f-squared-i (f2i) and dietary supplements called f-cubed-i (f3i) via Internet and mail order at the end of September. We are considering rolling out Personal Blogs with 100MByte space and gallery functionality for our members. What is your take on this? Please participate in our poll. The Zigview-R revolutionized DSLR use by creating a high-fidelity remote-angle viewfinder using a 1.9" TFT LCD display that could be positioned to the photographer's convenience. Now, Seculine has upped the ante with the Zigview S2 Digital Angle Finder - featuring a 2.5" LCD that can be separated from the camera up to 33 feet (10m) via optional cables. The Zigview S2 retains the same remote and intervalometer firing capabilities of the -R, as well as adding remote monitor relay feed via TV output. Availability is expected in October 2006. Putting people first - Internet-based online photography site takes lessons learned from in-house technology success to form custom software development outsourcing company. The global business need for efficient, customized software development and supporting IT-services has found a home in the heart of Europe. A new IT-outsourcing specialist called enprovia Software Engineering s.r.o. has emerged from the in-house needs of Nikonians - Worldwide Home for Nikon photographers. The Nikonians site was faced with the challenge of responding to over a million daily hits from a base of more than 50,000 members in over 140 countries. New members wanted a reliable search engine that could provide quick access to frequently asked questions. "We began with existing software," said Nikonians co-founder Bo Stahlbrandt, who founded Nikonians with his partner J. Ramon Palacios six years ago. "But the specialized nature of our community soon had us developing our own in-house software solutions." One of those solutions was a dedicated search engine, NikoScope.com, which helps members quickly find information on the site's nearly 500,000 pages. In this week's episode, Jessica announces the winner of the second Nikonians T-shirt, and fills you in on how to enter to win the next two contests! In addition, tune in to learn where you can find information on the new ArcSoft software, the Smithsonian Photography Initiative, and contests and photo assigments in the community. MacWorld gives us great information on ArcSoft's new PhotoStudio Darkroom. The software is a non-destructive RAW editing package that works with Nikon, Canon, and Panasonic files. Search 13 million pictures from the Smithsonian! The Smithsonian Photography Initiative is a searchable database of images. You can tag images to share with friends, and create your own sequences. The Nikonians Cafe' is now multi-lingual! Check in for chats in Dutch, German, Spanish, Filipino, as well as English. Segment 5 of the Nikonians Photographer of the Year 2006 is now taking submissions in the categories of Pets, Still Life, and Night Time. Enter before Halloween! September's online photo assignment is all about Motion, Action, and Speed! Tune in to find out the contest winner from last week, as well as the information about the next two installments of the t-shirt giveaway! The Smithsonian Institute in Washington DC has just launched their latest initiative; an online searchable collection of their photo archives. The aptly-named Smithsonian Photography Initiative aims to put the collective museums' 13 million photos at your fingertips. The search engine is not particularly user-friendly, but you can tag your favorite finds and even create your own sequence of finds that you can share with others. PhotographyBlog brings us word that an update to the popular ACDSee photo filing program is in the works. MacWorld brings us word on ArcSoft's PhotoStudio Darkroom which promises non-destructive editing of RAW files from Canon, Nikon and Panasonic. It also features fixes for perspective and lens corrections and chromatic abberation. How Do You Say Nikonians In Dutch? Or many other languages? Nikonians has opened up new language-specific forums at the request of our members. Brew up a cup of your favorite coffee and join in the discussion; exchange ideas, tips and any other topics not only in Dutch, but in our German, Spanish and Tagalog Cafes as well. This week, Jessica announces the winner of the first free Nikonians t-shirt, and the next installment of the contest. Volunteers are still needed for Photokina later this month. 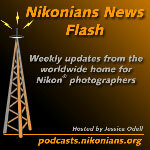 Also, find out about the latest from Nikon and T-Mobile! Winner of the first t-shirt is announced! Volunteers are still needed for Photokina this month. The show runs from 26 Sept through 01 Oct, and volunteers get a free t-shirt, cap, and day pass to the show! The latest update to Nikon's Capture NX software is avaliable! Download your updates to version 1.01 here: US Mac, US Windows, and Europe, and Asia. LetsGoDigital has a preview out of the new CoolPix S10, which can be seen at Photokina. T-Mobile and Nikon have teamed up with each other and CoolPixS7c users to provide CoolPix Connect. The Family and Pets Photos Forum is a great place to post pics of your most loved, but can also be a place for good help and feedback, so don't leave us hanging! Check out my canine pal, Loki!! Listen in for the next installment of the t-shirt giveaway contest, and email me at newsflash@nikonians.org. US Mac and Windows versions are available. Europe and Asia have the updates as well.